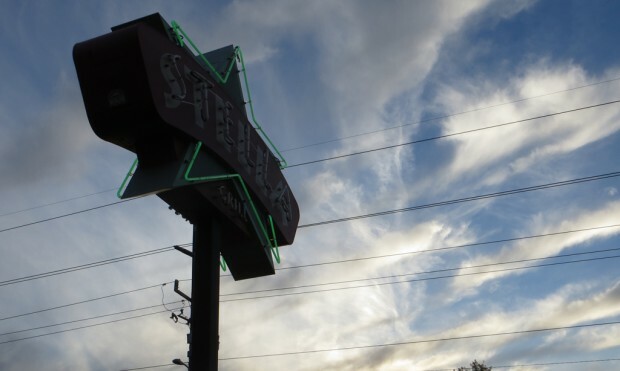 For SLCC students who find they have an hour to spare for lunch, the Stella Grill is only 10 minutes away from South City Campus. It’s also a perfect place for date nights, family nights, nights out with friends or any other occasion. 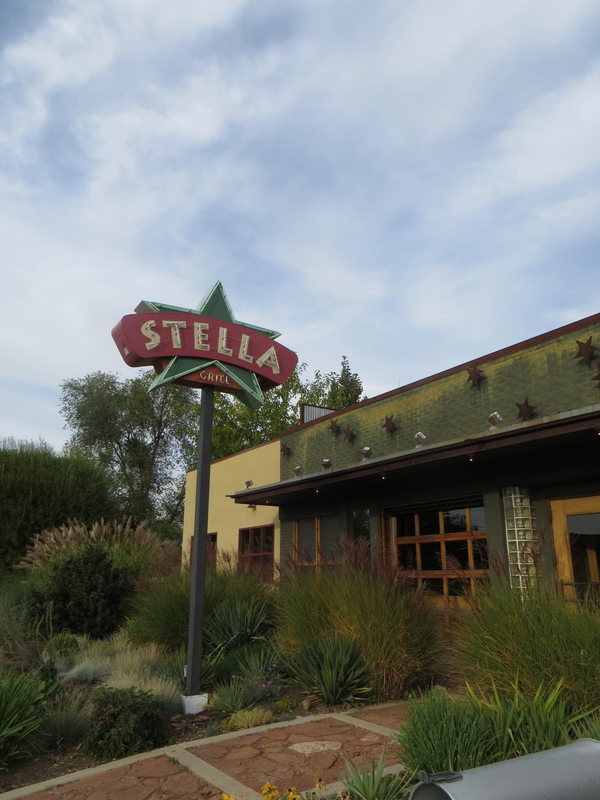 Upon first hearing about Stella Grill, I thought it would be a restaurant serving Pub style food, which I love. When I walked inside, it looked much classier than other pubs I had seen and I was very intrigued to see what the food was like. Although some of the walls are a little plain, there are a couple of walls that have old manual garage doors with window panels on them, which I thought was really cool and unconventional. We were greeted and seated immediately, even on a Friday night. The appetizers are vegetarian and carnivore friendly. The stuffed goat cheese platter was excellent and came with amazing crustinis. 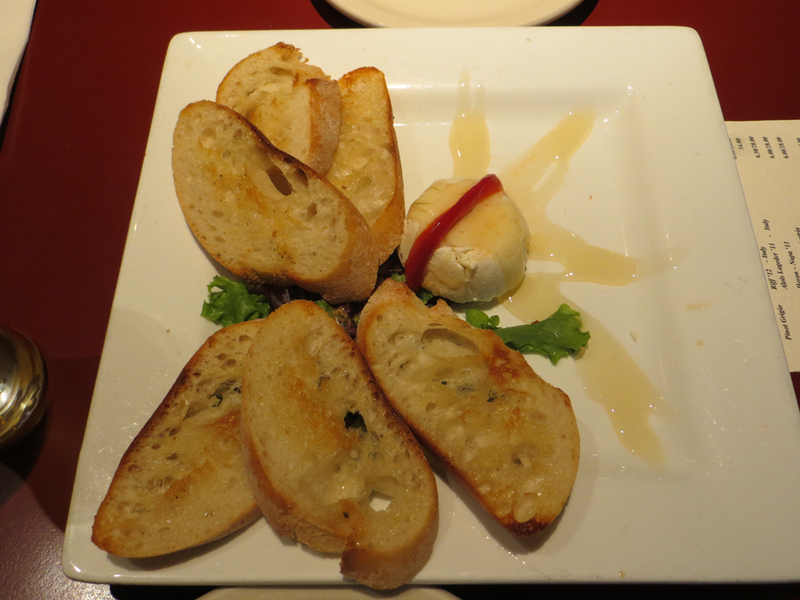 The goat cheese was stuffed with fresh mint, roasted peppers and olives, and was drizzled with honey. These were all flavors that I would have never expected to go together so well. Now when I go to Stella, I order it no matter how full I am. The dinner menu is very sophisticated, serving duck, shrimp, sirloin steak, roasted chicken, mashed potatoes and Yukon potatoes. They also serve an out-of-this-world burger, with a mixture of sausage and burger, spinach, tomato and blue cheese. The meat was perfectly cooked and the flavors blended exponentially well. Those with more conservative pallets, may not enjoy the selection of food offered at Stella, due to the unique range of flavors in their dishes. However, Stella Grill is a place where the adventurous and open-minded will really appreciate these flavors. Though the dinner menu is small and only serves meat options, the lunch menu contains many non-meat options and is served all day. A large sandwich with your choice of bread comes with a side of the most amazing and flavorful pasta salad and potato chips. They also have daily specials like Korean Hanger Steak, Chicken Tortilla Soup and BBQ Chicken Flatbread Pizza, which are all incredible as well. There are many different things on the menu, so you must really take the time to read through everything. 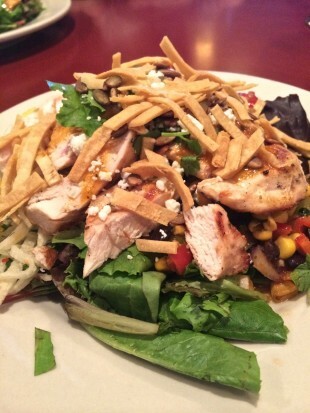 From the appetizers to the dinners to the lunch options, any meal you order will most definitely fill you up. The best thing about Stella besides their interesting and sophisticated blend of flavors for a ‘grill’ is the low price point for the amount of food you get on your plate. You can order a lunch meal with a sandwich, large side of pasta salad and chips for only $9.95, and a majority of the time, I end up bringing half of it home for the following day’s lunch. The food is still delicious the next day. In addition to their delicious meals, Stella Grill offers amazing dessert options as well. Their flour-less chocolate cake, pecan pie, and raspberry swirl cheesecake are all superbly delicious. The only flaw to having such wonderful dessert is that their meals are so incredibly large and filling that there are many times when you will not have room to eat it all in one visit. You’re going to have to come back again to try that appetizer, lunch, dinner or dessert that you wanted to try but missed out on. No matter, just another reason to visit Stella Grill and enjoy some more outstanding food. Stella Grill is located on 4291 S. 900 E. and is open from 11:30 a.m. to 9 p.m.